I just sent a message to Costco telling them that they need to implement a sustainable seafood policy to help save our oceans and the planet. If enough of us to the same we can get them to change. Join me and take action yourself right now! https://secure3.convio.net/gpeace/site/Advocacy?s_oo=eGNM9fMODJr3JzFwxhEiLQ..... If the text above does not appear as a link or it wraps across multiple lines, then copy and paste it into the address area of your browser. Michael wants you to take action on "No New Offshore Drilling!"! Michael L. Love has just read and signed the petition: No New Offshore Drilling! 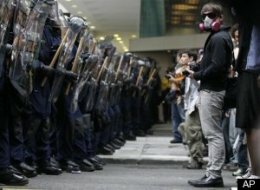 The protesters have legitimate gripes, and they are so often badly mistreated and misrepresented by the authorities. I want to hear the voice on the street. Healthy pomegranate nut fudge with blueberries is the latest variation on the weekend fudge indulgence, but it is also a wonderful component of a good diet. Cocoa lovers can add a serving of peanut butter to the fudge, and the portion is expanded to 4 squares. You will not be disappointed, but remember that you have used your nut serving for the day! Pecans and walnuts add a delightful texture. A bit of fresh squeezed orange juice enhances the chocolate flavor considerably, but it also takes the edge off of the secret ingredient, a dash of fresh ground pepper. If you add pepper and citrus juice, don't forget to make a small amount of fudge, because it should be eaten right away, not a problem for most people I should think ;-}. I substituted pomegranate juice concentrate for agave nectar, which adds enormously to the healthful polyphenolic content of the fudge, and remarkably, the large punicalagin tannin molecules are known to be absorbed into the blood stream and exert their beneficial effect in the body. The pomegranate concentrate also makes for sweet fudge, tangy, and tasty! If you are interested in the recipe, here is the link. Sure to make you smile. Under construction. GNU-Darwin joins Oil Change International in the movement to Separate Oil and State. Write your Representatives to demand that they stop taking cash from and giving cash to the oil industry. Many people are suggesting alternatives to the BP boycott. I am all for it. Everyone should do whatever they can. Many of us will boycott, others will go solar, ride a bike, or stop using gasoline altogether. Others will eliminate plastic and other petroleum products from their homes. There is a vast spectrum of possible actions. Everyone should do whatever they can, and together we will make sure that this never happens again. Together, our disparate efforts will make a difference. "It's a sign of our times and corporate priorities that at the moment of the televised apology, the company's statement on its website seemed more concerned with shareholders than it did with the tragic circumstances at hand." That was a great article. I could not agree more. This is why I am supporting a genuine Green agenda, not the daily green washing that we are getting from some quarters. Why! That judge should have recused himself. It is not hard to see the reason for his ruling. If you relax the moratorium, then you are saying that you agree with that reason. I looked at the chemical names, and I am not entirely convinced that we are getting the full story. I am a biochemist, not a chemist exactly ;-}. The sulfur group looks a little puzzling to me, and I don't think that it does the job. I doubt that this is the final list of ingredients. We need a closer look at the patents and patent holders. Join the movement to Separate Oil and State! I've just joined Oil Change International in the movement to Separate Oil and State by writing my Representatives to demand that they stop taking cash from and giving cash to the oil industry. Go to http:/priceofoil.org/action and join us! More information on possible issues with oil well infrastructure and erosion. There does appear to be some concern regarding rupture of the well resulting in an "uncontrolled discharge". It also appears that information regarding the condition of the well infrastructure is being withheld from many people with the scientific background to understand the situation and assist. Although it is being denied, I suspect strongly that oil has already eroded through the ocean floor, bypassing the damaged infrastructure. Contrarily, we should also be concerned that this information is being used to propagandize against plugging the well, so that the oil can be recovered in spite of the ongoing spill. I must confess that I do not yet have the information to distiguish between these two opposing possibilities. Further discussion is invited as always. 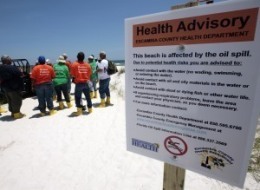 Maggie Koerth-Baker’s excellent article – Oil spill: Here’s What You Can Do to Help reminded me of the WW2 sentiment of conservation in a time of crisis. Oil spills happen year after year, all over the globe. As I scouted for creative commons images, I came up on this one by Igor Golubenkov. This photo’s from 2007 after a spill in the Black Sea. 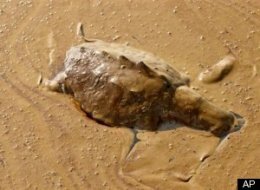 Maggie Koerth-Baker's excellent article – Oil spill: Here's What You Can Do to Help reminded me of the WW2 sentiment of conservation in a time of crisis. 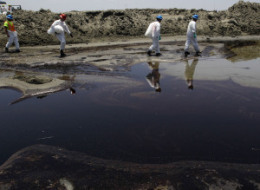 Oil spills happen year after year, all over the globe. As I scouted for creative commons images, I came up on this one by Igor Golubenkov. This photo's from 2007 after a spill in the Black Sea. Add 5 to a long list of endangered species threatened by the BP oil spill. I think that this is a hidden message for BP. 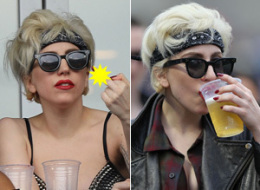 ;-} Is she the only lady drinking beer and flipping birdies at the stadium? Hats off to Gaga. She is even wearing colors! Love the peace sign. away from the norm, and seepage may be a much greater problem. What if there is a large seepage amounting to a steady eroding flow? problem as the infrastructure becomes bypassed and superfluous. success. If so, the time is past for stopping the leak from above. Is it possible for the oil pressure to eject the infrastructure from the hole? Here is a metaphor to help understand the magnitude of flow and pressure. Thousands of tonnes of oil and gas are being ejected every day, and maybe more. in the gulf. Hopefully we have geophysicists on this problem. 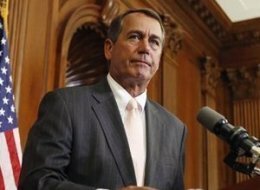 Here is a link to an interesting related article from Mother Jones. article, but it was helpful. It appears that people close to the spill have some similar opinions as mine regarding the federal response. Here we see the kind of shenanigans that we are in for. The oil companies know no bounds. I'm sure you've seen the photos of wildlife drenched in oil, Gulf Coast fishermen stranded on their docks and estimates that the BP oil spill will only get worse. It's easy to feel helpless, but we're not. There is something you can do right now to help stop the spill: boycott BP. The government has outlined some important steps to clean up the spill. But it's up to us, the citizens and consumers, to send a wake-up call that BP executives and their puppets in Washington will really understand. Since these are for-profit companies, we have the power to help end the oil spill by making a simple choice when we head to the pump. 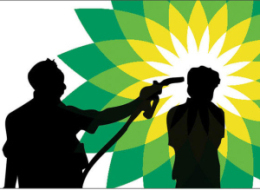 I just pledged to boycott BP and its subsidiaries; can you do the same thing? My recent Android upgrade has gone absolutely flawlessly, and it has greatly aided the multibanding social media and networking roll out. It is an amazing phone! I've been using Google Reader and thought you might like to try it out. With Reader, keeping up with your favorite websites is as easy as checking your email. I really love Mother Jones, and highly recommend it. Thank goodness for these kinds of investigations! It is infuriating to hear that boycotting only hurts the franchise stores. First of all, the aim of the boycott is not to hurt but to help. Second, it is well known that the franchise owners make almost no money from gasoline sales, because they are being gouged by big brands like BP. It is BP that makes the lions share of profits from gasoline sales, and boycotting affects BP most. 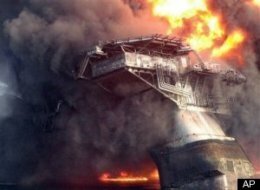 The point is that BP's efforts have consistently demonstrated that they think the oil is more important than the oil spill, and they seem to want the oil whether it is spilling or not, because they prioritize it over the damage that they have done. The reason it is still leaking is because they do not want it plugged. It is literally criminal, but the government appears to be looking the other way, while making tough sounding remarks. If I spill a quart of oil in the harbor, the Coast Gaurd could charge me an onerous fine. They could make sure that the oil spill was contained and leak stopped. This is in fact their job. No effort has been made to plug the well. BP could do it, if that was their actual aim. If you are a corporation fueling the tanks and war effort, I guess you get away with it. I guess it helps if you are so damned greedy that you are blind to an environmental catastrophe. Interesting matter of scale. Interesting sense of justice. 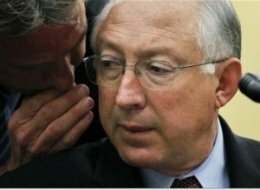 Where is the executive? Where is law enforcement? Can someone please tell me how it is legal for a corporation to block access to public lands and air space? 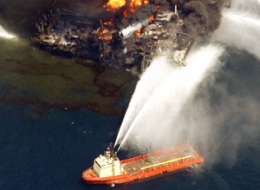 Of course, BP has a readily observed penchant for illegality. Perhaps this should come as no surprise. It is becoming clearer to me every day that government agencies that are tasked with enforcing these laws are complicit in BP's violation. No serious attempt has been made to plug the well, because that would block access to the oil. Meanwhile the oil pollution continues more and more. There is alot of tough talk around, but where is the action? When the world cup obsession has ended, let me know, so that I can come out again. Meanwhile, back to the boycott. 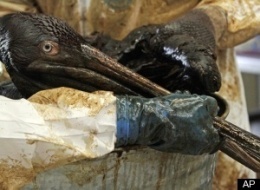 #BP Oil Spill #boycottbp #oilspill. We need both wells plugged! Tagged: boycottbp, BP, oilspill, . Tagged: boycottbp, BP, Environment, oilspill, . NEW YORK - June 9 - According to a Los Angeles Times report, a senior U.S. official said the Obama administration wants to detain and interrogate non-Afghan terrorism suspects captured in countries outside Afghanistan in a section of the Bagram prison, even after it turns the prison over to Afghan control. The proposal is reportedly in the early stages of development. A leaky cap is worthless. Since when is a broken cap a cap? An interesting story, and thought provoking for those of us who are boycotting, I am sure. It should be remembered that Exxon made many promises in the wake of their spill, and failed to follow through. The promised compensation fell far short of what was actually due. For my part, I would certainly consider ending the boycott action after the well is capped, the mess is cleaned up, and everyone affected has been satisfactorily compensated. Others in the movement may have additional reasonable demands, which I would be inclined to honor as the situation evolves. They called it "Operation Sea Breeze." Despite the pleasant-sounding name, Israel's violent commando raid on a flotilla of humanitarian aid ships, which left nine civilians dead, has sparked international outrage. The raid occurred in the early-morning hours of May 31, as the six vessels laden with humanitarian aid were still in international waters, bound for Gaza, where 1.5 million Palestinian residents are in their third year of an Israeli-imposed blockade. Israel has, from the outset, sought to limit the debate over the attack, and to control the images. 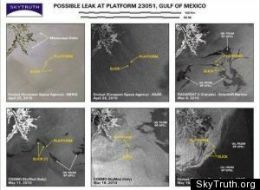 Are There More Oil Spills In Gulf? What a delight to see this kind of coverage! Hats off to you guys. Apple launches a video phone with Microsoft providing the search engine. Meanwhile, AT&T predictably has a new charge for bandwidth and increases termination fees. What do you think happens next? You should really check out Posterous. I am wondering when @gnudarwin will reappear in twitter search. Love posterous! This will be a great resource for blogging on the following topics. Expect regular action here. Israeli: He was coming at me with a knife, so I shot him in the back. Flavonoid packed elderberry nut fudge with blueberries is a wonderful weekend indulgence. Add a serving of peanut butter to the fudge, and the portion is expanded to 4 squares. As usual, I couldn't resist eating one before taking the picture, and I am sending warm cocoa feelings to you ;-}. I also added some pecans, walnuts, abit of fresh lemon juice and a dash of fresh ground pepper. If you are interested in the recipe, here is the link. Work on the fudge recipe continues. Although I have been very busy with other things, I could not resist sharing my latest recipe idea. Last weekend when I was causing my Memorial Day ruckus and getting my Twitter account temporarily suspended, I was enjoying elderberry fudge.As some of you probably know, elderberry is the queen of the berries with respect to flavonoid content, and Vitacost offers some fine elderberry extracts in order to maximize the flavonoid content. With elderberry combined with cocoa, this fudge is a literal flavonoid blast! I must apologize that this recipe is still experimental, and I am having a hard time getting exact portion measurements, so you might have to adjust the ratio of elderberry extract to cocoa powder in order to get the desired consistency. It should also be noted that this preparation is likely easily adapted as healthful and delicious cocoa/berry spread and syrup. In fact, this preparation is so beneficial and tasty that I thought it imperative to share the recipe, even though it is still somewhat unfinished. The key idea was to substitute elderberry extract for the agave nectar from the previous fudge recipe. Unlike the agave nectar, elderberry extract has concentrated astringent solutes, so that it is necessary to add quite abit more extract than agave nectar in order to match the moisture content. In my judgement this also made the fudge much more sticky, and so I have adjusted the recipe and preparation in order to address this problem and reduce the preparation time. Before proceeding with the recipe, it should also be noted that the elderberry extract is far more expensive than agave nectar, so it is likely that this recipe is more for special occasions. Here is the recipe for two portions. Mix ingredients and/or knead until the desired consistency is obtained. It may be necessary to add more cocoa or extract in order to obtain the desired result. If you scale up, use a food processor and save yourself much work. You might obtain soft granules that look a little like coffee grounds, which works pretty well. Press the fudge into suitable containers and cut into squares. If you are using highly concentrated extract, then it might be necessary to sweeten with a teaspoon of agave nectar. Substitution of other fruit concentrates, such as cranberry, pomegranate, blueberry, or cherry will likely work as well, although the flavonoid content will be somewhat lower. The oil reduces the stickiness and makes the fudge easier to handle, but it also likely improves the absorption of the flavonoids vastly. In my subjective experience, this recipe is comparable to parsley in terms of the flavonoid impact. Please enjoy this delicious fudge, and the intended health benefits as well! Write in and let me know what you think of it. Michael L. Love: Parsley, a brain food? Why does any body want to live forever?